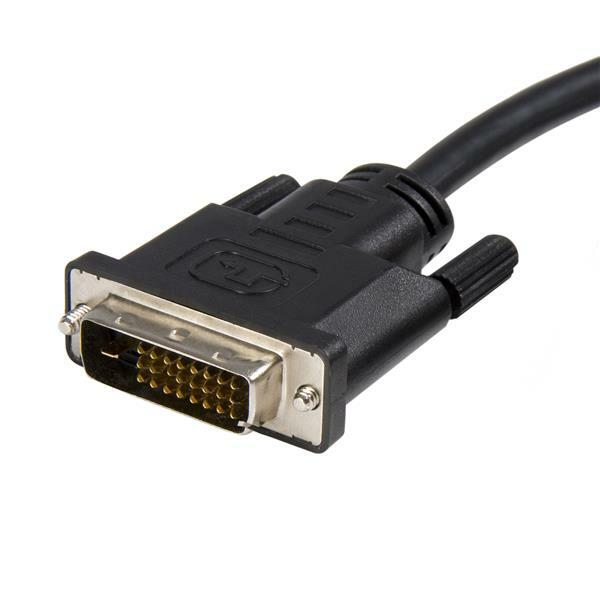 The DP2DVIMM6 DisplayPort to DVI (M-M) Video Converter Cable lets you connect a DVI capable display to a DisplayPort video card/source using a single cable. The cable provides a connection distance of 6ft and features a male DVI connector and a male DisplayPort connector. 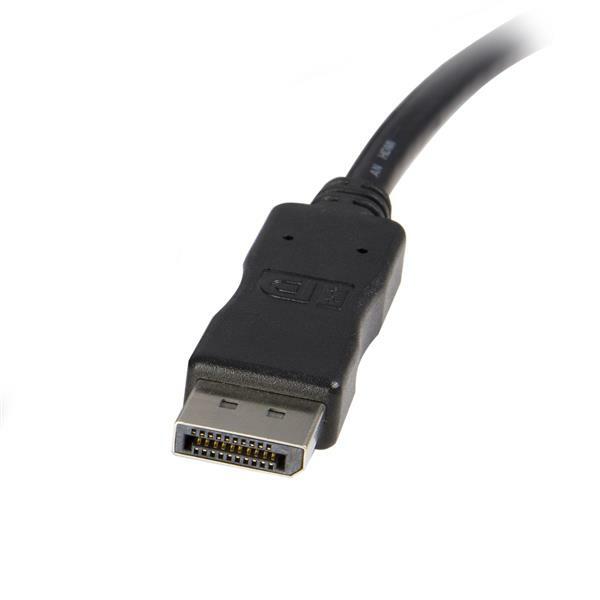 DP2DVIMM6 is a passive adapter cable that requires a DP++ port (DisplayPort++), meaning that DVI and HDMI signals can also be passed through the port. 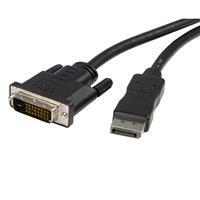 Note Requires DP++ (DisplayPort++) port from video card or video source.